GLADMAN Developments Ltd has secured an oil exploration company for its 25,000 sq ft headquarters building at Abercrombie Court in Aberdeen. Independent North Sea operator, Fairfield Energy, is to relocate its Granite City operation from Dyce to the Arnhall Business Park site in Westhill. The three-floor headquarter pavilion was the largest unit in Phase 2 of the Abercrombie Court development and has been taken by Fairfield on a ten-year lease. Fairfield Energy was established in 2005 with major funding from North American and European private equity investors and has a growing portfolio of UKCS oil and gas interests, including the Dunlin, Merlin, Osprey, Darwin and Clipper South fields. Fairfield Energy contracts manager, Brian Brown, said: “We are very pleased to secure this high quality facility in the excellent commuting location of Westhill. Dan Smith, associate at FG Burnett, who acts for Gladman Developments, said: “The high quality Grade A office accommodation at Abercrombie Court is ideally suited to a progressive, entrepreneurial company like Fairfield Energy. With Phase 2 of Abercrombie Court due to complete in Q1 2012, demand has been strong with ten out of the 13 buildings let or sold and interest noted in the remaining five units which have yet to be built. 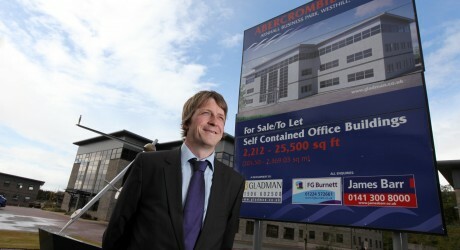 The development has proved popular with occupiers and investors due to the varied building sizes. New Phase 2 occupiers include sales to Northern Marine Manning Services Ltd, Aberdeenshire Housing Partnership, IT Hotdesk and Plan-IT Sytems and lettings to Sharecat Solutions, Axis Well Technology, CALA and GSP Offshore Ltd. Rents of between £17.50 and £18.50 per square foot are being achieved while VP sales are attracting in the region of £200 per square foot. Gladman Properties’ development manager, Susan Pegg, added: “Due to Gladman’s speculative approach, the company is able to accommodate occupier requirements quickly, with the majority of transactions taking less than two months to complete. Fairfield, which was represented in the transaction by Ryden, will move its 130-strong team to Abercrombie Court in the late summer and has room for further expansion if necessary. FG Burnett Ltd was founded in 1960 and the practice has now grown to become one of the largest firms of chartered surveyors and property consultants, based in Aberdeen and Glasgow.